RaidenMAILD was design to help its users in the task of world wide communication. 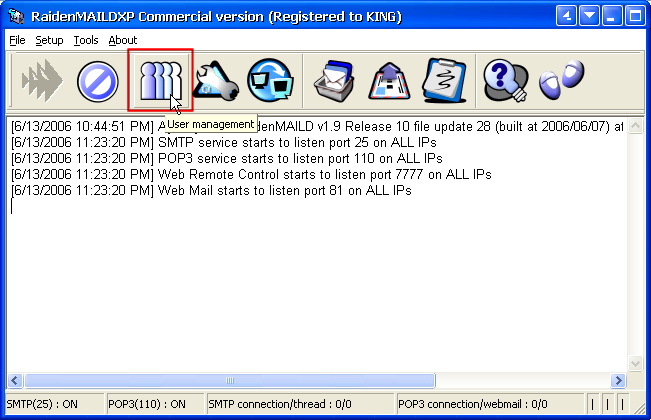 RaidenMAILD is a easy-to-use SMTP / POP3 / WebMail Mail Server designed for home and enterprise users, it is so easy to setup that everyone can possibly do it by yourself even if you never setup mail server. It is not only easy to use but also features various professional mechanisms such as anti-spam mechanisms, filtering, SSL security, 2SMTP infrastructure, health monitoring, firewall and Active Directory / Database integration.